Take a look of our top favourite campaigns for the Spring Summer 2015 season from Coach, Valentino, Oscar de la Renta & Alexander Wang! Captured in Miami, Florida, the spring summer 2015 campaign from Oscar de la Renta taps photographer Steve Hiett to shoot a colorful set of images. 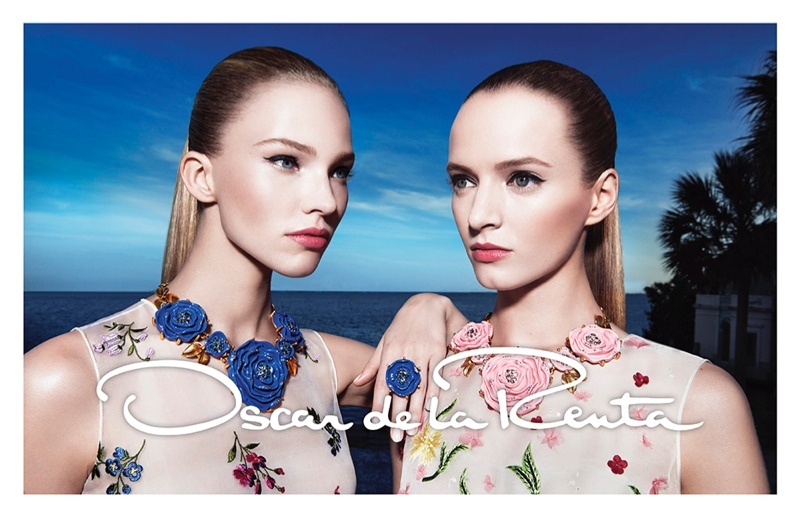 Models Daria Strokous and Sasha Luss pose with matching slicked back hairstyles and luminous makeup looks. 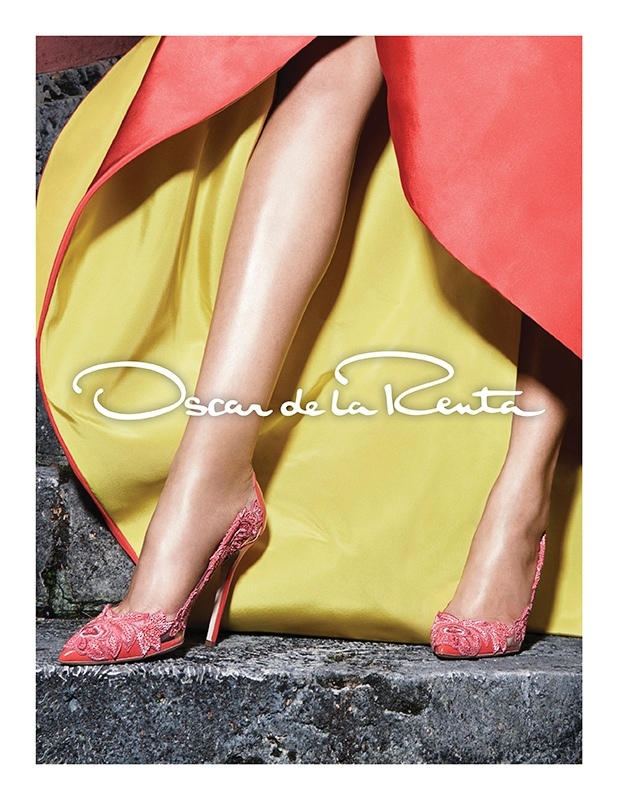 De la Renta’s ladylike color combinations and elegant embellishments are give the spotlight in the new advertisements. The Alexander Wang girl looks ready to party for the designer’s spring summer 2015 campaign captured on a fully decked out party bus. Models Anna Ewers, Binx Walton, Dylan Xue, Lexi Boling, Sarah Brannon and Vanessa Moody pose underneath LED lights in the images captured by Steven Klein. Karl Templer worked as stylish for the advertisements with creative direction by Pascal Dangin. 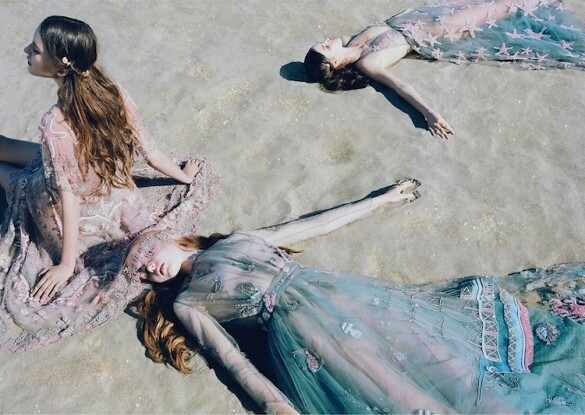 We can’t help but be head over heels for the new Valentino campaign shot by Michal Pudelka. 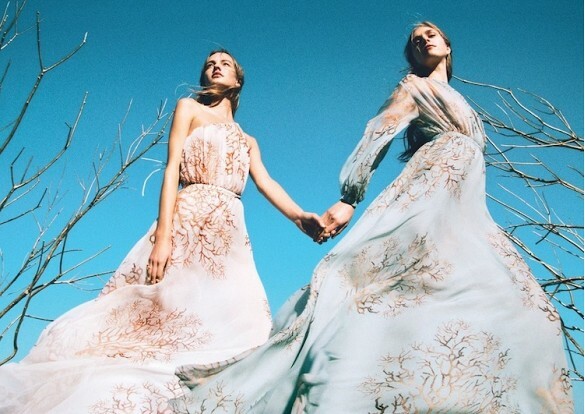 The mermaid and woodland fairy-inspired scenes that showcase the stunning Spring Summer 2015 collection are absolutely magical! 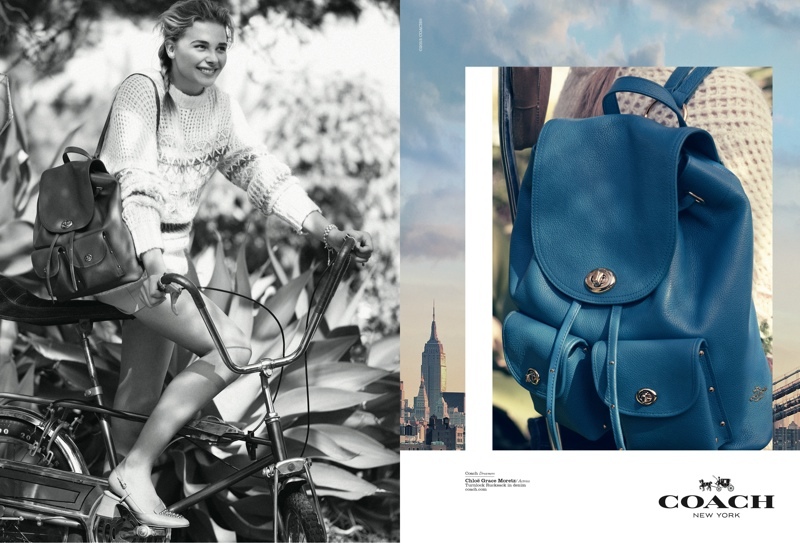 This entry was posted in Ad Campaigns and tagged Alexander Wang, Anna Ewers, Binx Walton, Chloe Grace Moretz, coach, Dylan Xue, Lexi Boling, Michal Pudelka, Sarah Brannon, steven klein, stuart vevers, Vanessa Moody. Bookmark the permalink. ← STUART VEVERS SENDS COACH NEON!